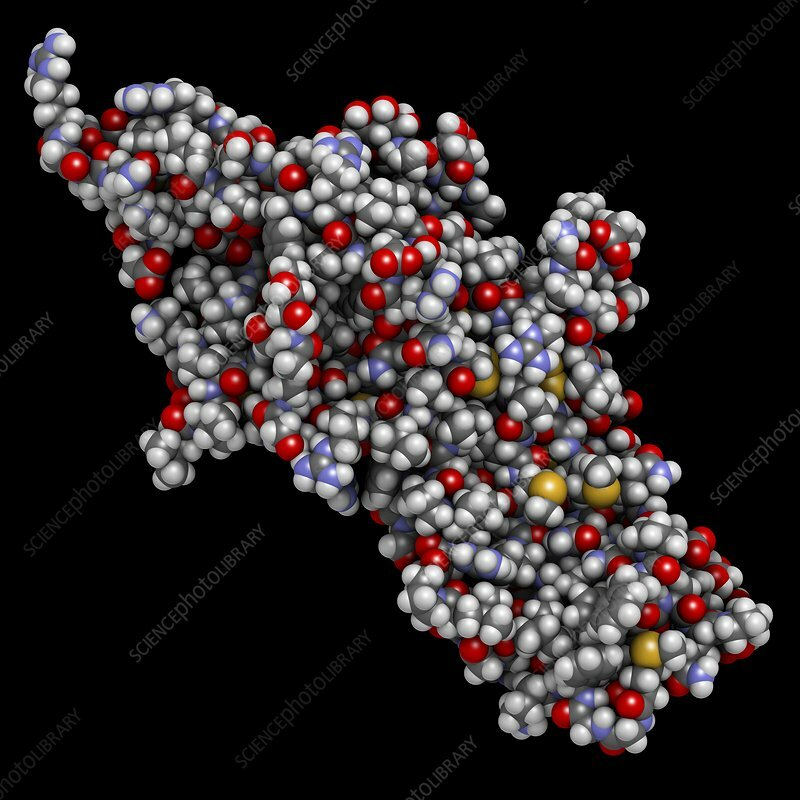 Human Chorionic Gonadotropin (hCG) glycoprotein hormone, chemical structure. Used in fertility treatments and in vitro fertilization. Detected in pregnancy tests. Space-filling model with conventional colour coding.